As the premier skilled nursing facility in Lincoln, California, Lincoln Meadows Care Center provides compassionate and personal short-term rehabilitation and skilled nursing care 24 hours a day. We specialize in providing rehabilitation services onsite to help our residents regain their independence and return to their homes. Lincoln Meadows Care Center sits in an ideal location. 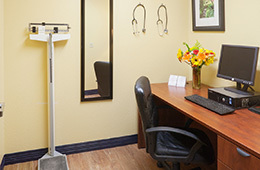 We are the only skilled nursing facility located between Roseville and Marysville. Our residents enjoy the sun streaming into their rooms, and visitors enjoy the convenience of making frequent visits and are in great proximity to freeways and public transportation. Inside, the beautiful and relaxing décor aides healing and makes our resident’s feel more at home. At Lincoln Meadows Care Center, we treat every resident and guest like a cherished family member. It is our mission to provide compassionate, respectful and innovative care to enhance the quality of life for each resident. Our goal is to create an unparalleled rehabilitation experience that will help each resident return home with the highest level of independence possible. At Lincoln Meadows Care Center we make every effort to ease each residents’ apprehension and help make the transition process as stress-free as possible, every step of the way. Lincoln Meadows is honored to be partnered with Capital Medical Extended Care (CMEC). Under the direction of Dr. Chandan Cheema, this multidisciplinary team of physicians and nurse practitioners was brought together to focus on improving patient care while reducing hospital re-admissions. With such a diverse range of specialties, our skilled nursing residents are able to receive high acuity care. Visitors are welcome every day of the week. Come see our resident’s and friendly staff in action. Feel free to contact us to learn more about the unique, sophisticated healthcare environment here at Lincoln Meadows Care Center. The full in-house therapy team provides: PT, OT, ST.